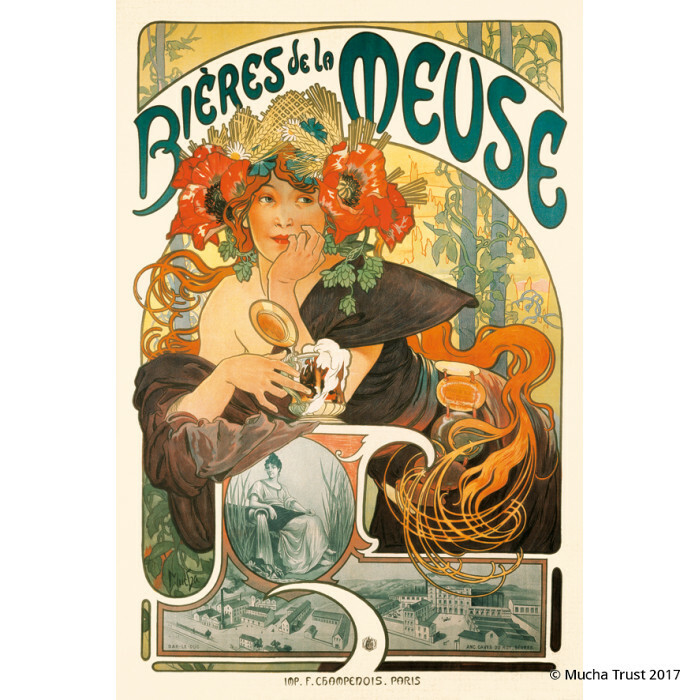 This large format poster portrays a woman with a wreath of poppies, wheat and hops in her hair holding a pint of beer. She has Slavic features and is reminiscent of the figure of Summer from Mucha's Seasons series made in the previous year. 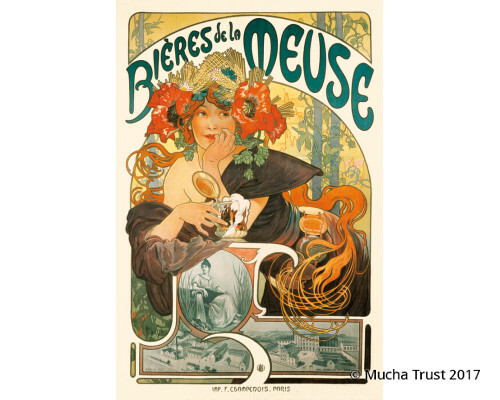 The poster incorporates two images at the bottom of the poster made by another artist: an image of the goddess of the river Meuse and a bird’s eye view of the brewery.